These skills will provide a basis for progression onto the New Zealand Certificate in English Language (Academic) (Level 3) qualification. The course will be delivered over 16 weeks, and students will study 5 days a week for 4 hours a day with the expectation that students will need to carry out a similar amount of self- directed study. Be 16 years of age or older on the 1st of January in the year that the student enrols, unless approved otherwise by the Programme Leader. The student can reasonably expect to achieve the standards required for successful completion of the programme or course. 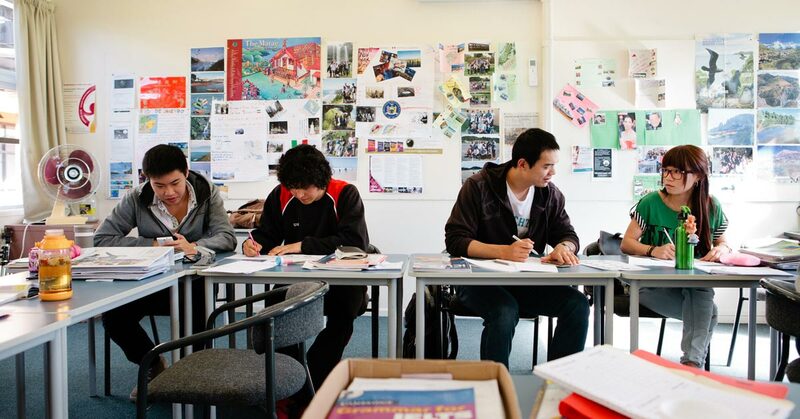 For International Students or Non-English Speaking New Zealand Residents, students require a minimum IELTS score of 3 with no band lower than 3.0, or must gain Elementary or Pre-Intermediate level in a test administered by an approved third party provider (such as Vital English) to gain entry into this programme. NorthTec are currently trialling a pilot programme using both the Vital English test and the Oxford English test. The test results assist the programme tutors and learners to define the student’s current level of English language skills, ensuring they are not put into programmes either above or below their current level of skill. “I wanted to come to New Zealand so I had to learn English.” Aichun was in High School in China before starting the NorthTec English language course. Her father is thinking of coming to New Zealand and language and culture would be an issue for him so Aichun and her younger brother have come get a head start. Taking the course here was a huge challenge for Aichun because she has never left home before. Aichun enjoyed being part of the student community at NorthTec. Since her graduation, Aichun has taken an international tourism management course in Auckland. China’s Ambassador to New Zealand visited NorthTec’s Raumanga campus to discuss the growing relationships between the tertiary provider and its Chinese partner colleges. Immigration New Zealand (INZ) has recently announced the approval of Pearson Test of English Academic (PTE Academic) as proof of English language proficiency for all visa categories with an English language requirement from 21 November 2016.